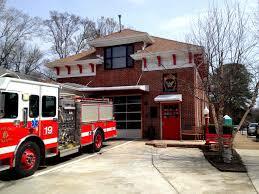 Since its opening in 1925, Fire Station 19 (FS19) has been a beloved institution in Virginia-Highland. The firefighters and the building have a unique place in this community. A lot of children in this neighborhood have climbed on its engines, and a good many of us have been treated by the EMT team housed there. To no one’s surprise and everyone’s delight, FS19 – and its sister station FS27 in Piedmont Heights – have received a lot of attention and support from Councilmember Alex Wan since he took office in 2010. When the Councilmember and local resident Catherine Lewis discovered last fall that the station had been placed on the city’s 2016 replacement list, it caught everyone’s attention. The first response was to organize a meeting to review the reasoning behind the announcement, the current status of fundraising, and the specific proposals and options for making needed changes to the building. The goal of that meeting was to develop a strategic plan to update and protect FS19. Catherine assembled a diverse committee, and the meeting drew a lot of organizational support. The group agreed to schedule meetings with (then) Fire Chief Cochran, develop a comprehensive fundraising strategy, review the needed repairs, place funds raised by the community into a new 501(c)(3) conduit (the Virginia-Highland Conservation League, which has a very low administrative fee for donations), and add Catherine to that group’s board. Catherine has been involved in researching the subject from a lot of different angles; it is a task to which she is particularly well-suited. Her resume includes being an Assistant Vice President for Museums, Archives & Rare Books at Kennesaw State University, Special Projects Coordinator for the Atlanta History Center, and President of Georgia Association of Museums and Galleries. It’s everyone’s good luck that she also lives in VaHi and is a member of the VHCA Preservation Committee. The meetings that followed with Councilmember Wan and (then) Chief Cochran were promising. Cochran indicated that the station’s replacement status was both a result of the station’s age and a perception that it needed to be expanded. The AFD confirmed that funds had not yet been designated to tear it down or replace it, but it would remain on the 2016 replacement list. The AFD and City of Atlanta were open to listening to other alternatives and partnering with the Virginia-Highland Civic Association to consider preserving the station in its current location. From his post as Chair of the Finance-Executive Committee, Councilmember Wan is well-positioned to keep abreast of the city’s budgeting particulars – such as funding for new fire stations – and safety planning in general. There seem to be a large number of capital needs more critical than FS19 (which is structurally sound), but there was still concern about FS19’s future. 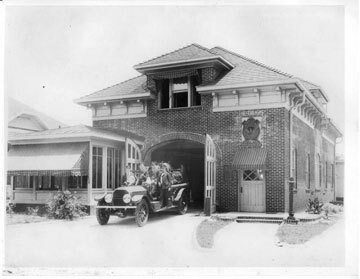 The firefighters themselves also pay close attention to internal developments within the Public Safety Department, and protecting the historic station became part of last year’s Virginia-Highland Master Plan. These are not guarantees of the station’s permanence; they’re an opportunity to use the intervening time to good advantage, and that is our approach. Cochran’s unanticipated departure as chief will necessitate a new review with his eventual successor, whenever (s)he is named. Other communities have worked with the AFD and City to raise funds and help preserve older stations, effectively removing them from “replacement.” We can do the same. When Councilmember Wan asked VHCL to become the effort’s financial agent last year, we readily agreed. Establishing a long-range financial plan is a necessity, along with finalizing the review and costing of specific repair plans and increasing fundraising. In the latter category are the Breakfast with Santa at Osteria 832 (organized by Rich Chey), the Santathon fundraiser (a joint effort of VHCA and Tailfin Marketing) at the station, and other upcoming events throughout the community. 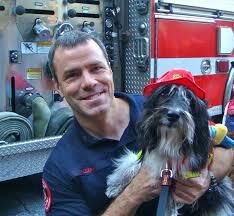 As the fundraising plan develops with the new fire chief, we hope you will support it. FS19 is a landmark in Virginia-Highland, and our goal is to keep it functioning as a fire station for as long as it’s viable. To our knowledge, the Public Safety Department believes it has a lot of life left in it. Let’s make the station safe and sound for our current firefighters and for future generations. If you’d like to help, please contact us at preservation@vahi.org. ; we’d be glad to hear from you. You can also learn more and make a tax-deductible donation here. 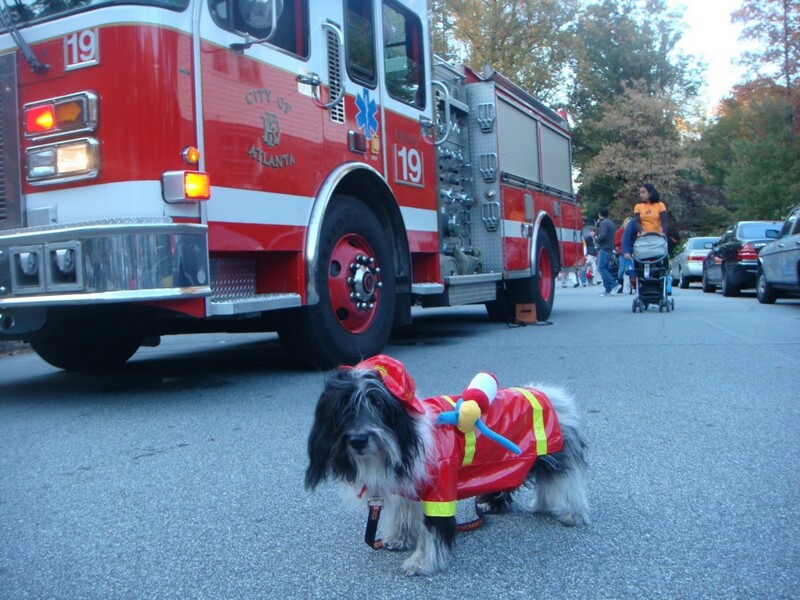 This entry was posted in news and tagged 2015, firestation#19, vhca, vhcl by John Becker. Bookmark the permalink.